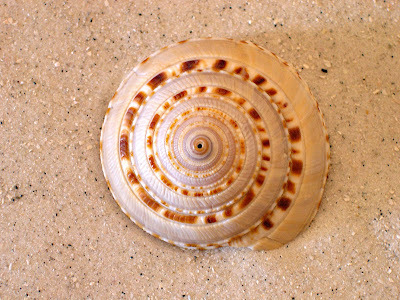 That shell is commonly called a sundial. Thank you Pam! Yes, the answer is sundial, which makes you the winner for week #3. Hope you'll be back on Sunday to check out the next seashell challenge.